Triangles only form in Waves 4, B, and X, the waves prior to the terminating wave of the structure. There are five Waves (A-E) and each wave will normally subdivide into a 3 wave structure such as a Zagzag. There are three types of triangles. The most common are the contracting, symmetrical kind. Barrier triangles form where one side resembles a horizontal line, and expanding triangles, which are very rare. Wave C, or occasionally wave D, will normally become complex and form a double (WXY) or triple Zigzag (WXYXZ) formation. X can be a triangle itself. Infrequently, Wave E can develop into a smaller triangle, making a total wave count of 9 waves, labeled A-E, with the interior triangle labeled a-e of the next lesser degree. 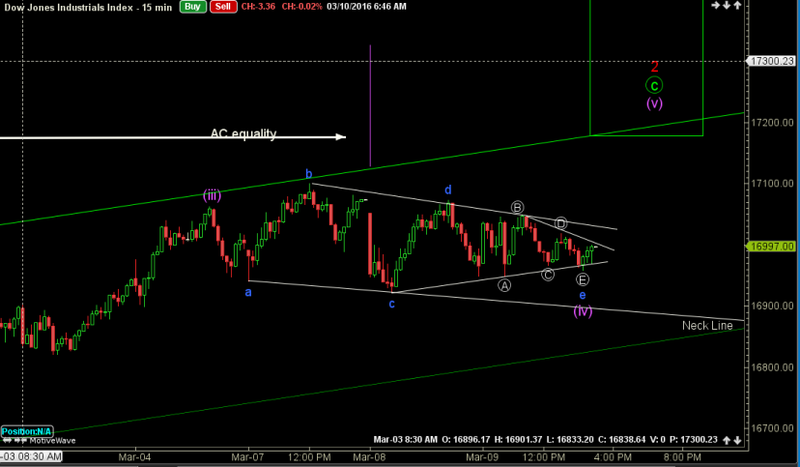 The ending pivot is E e.
In a wave 2, a triangle may only form in wave B of the retracement. It can not comprise the entire wave 2. 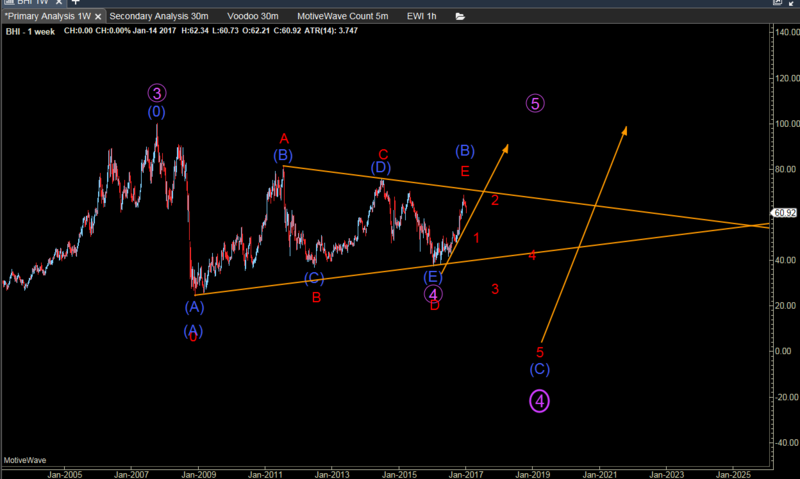 However, in wave 4, a triangle may form as the entire wave 4 structure or as wave B in the wave structure. These will resolve in opposite directions, so you need to be right on where the triangle is located. In a triangle, at least two waves frequently have a .618 relationship with their prior wave. With a running triangle you can expect Wave B to reach 1.382 of Wave A, before the remainder of the triangle falls into suit with .786 retracements. The relationships are somewhat more expanded than regular triangle relationships. As a general rules, these triangles conform to 1.618 relationships between the waves.